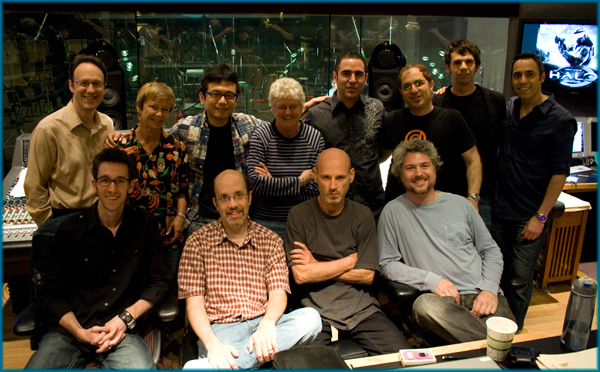 San Francisco, CA: June 24th, 2011 – Pyramind Studios has proudly partnered with 343 Industries and Microsoft Studios to produce the music for the upcoming Halo:Combat Evolved Anniversary video game. Celebrating a decade of history with the iconic Halo franchise, Pyramind Studios has been chosen to produce and remaster the famed original score for the exclusive Xbox 360 release scheduled for November 15th, 2011. Lead by Microsoft Studios Senior Audio Director Kristofor Mellroth and Pyramind Studios COO/Audio Director Paul Lipson, the duo inspired Pyramind Studios industry-leading team to re-orchestrate and reproduce the original score by composers Martin O’Donnell and Michael Salvatori. Talent also includes the Skywalker Symphony Orchestra recorded at world-renowned Skywalker Ranch, and Chanticleer – the Grammy winning men’s vocal ensemble widely considered one of the best in the world.